Rubrics – what are they? Why and how should I use them? This information is aimed at academics and those involved in setting up online assignments in Blackboard and Turnitin. It provides an overview of how to choose the right rubric for your needs. 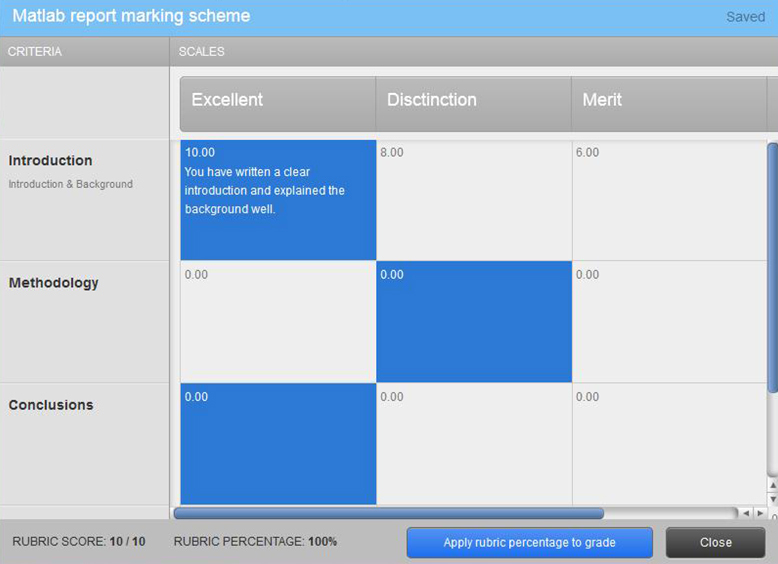 A rubric is a marking scheme that you can use online. A rubric displays evaluation criteria and shows your expectations for the quality of an assignment. 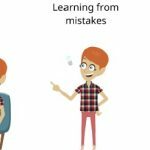 Why should I consider using rubrics? Rubrics can reduce the time and administrative burden of marking assignments. Some academics have reported greater consistency across multiple markers when rubrics are used. You can also run evaluation reports to see, for example, the average total score, average scores for each criterion, and distribution of scores across each level of achievement. Students can use the rubric as a guide in preparing their assignment. The completed rubric shows students how they achieved their grade and helps them to readily identify where they need to improve in future. Rubrics can be set up in either Blackboard or Turnitin – each works slightly differently and offers different functionality. By using a Turnitin rubric with a Turnitin assignment, you can mark scores on the rubric while adding QuickMark feedback to assignments. Blackboard rubrics can either be associated to content (see list below), or to columns in the Grade Centre (select Edit Column Information from the column’s contextual menu). Should I use Blackboard or Turnitin rubrics? If adding comments to a Blackboard rubric, remember to save your work often – it does not auto-save so will otherwise be lost in the event of a time-out or computer crash. Use the correct settings in both Turnitin and Blackboard so that your students do not have access to the marks during the marking and moderation period. For advice, contact your eLearning Team. Make sure you follow the general guidelines about online assignments, particularly about anonymous marking. For specific instructions on setting up rubrics, please see the help information from Blackboard and the Turnitin instructor guides, or the Knowledge base article on How to: Implement Assignment Rubrics in Blackboard. To request our support for elearning projects, training or advice, contact us by submitting a Support Portal request. Please visit the University’s Staff Learning & Development online Training Catalogue to search for our current courses. When viewing the training catalogue, search for the term 'FSEELT' to see only FSE eLearning training courses. ALT is a professional and scholarly association which seeks to bring together all those with an interest in the use of learning technology. Promotes and funds high-quality, cost-effective teaching and research, meeting the diverse needs of students, the economy and society. JISC inspires UK colleges and universities in the innovative use of digital technologies, helping to maintain the UK’s position as a global leader in education. 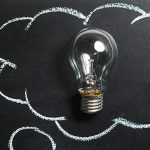 SEDA is the professional association for staff and educational developers in the UK, promoting innovation and good practice in higher education. Provide support to the higher education sector by working with individual academics. A network of discipline-based subject centres provides a range of services to subject departments. QAA checks how UK universities maintain their own academic standards and quality.